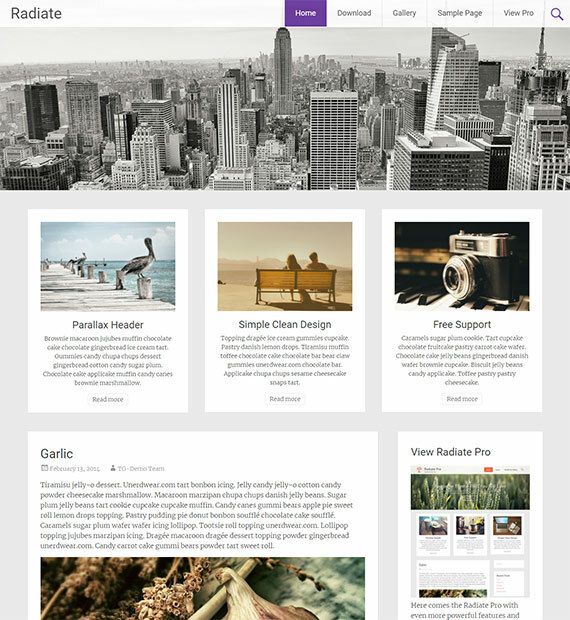 Clean and creative, Radiate is a simple WordPress multi-purpose blogging theme that is best suited for blogging sites. The primary colour options along with options to add a custom background and CSS is easy to access from the customizing settings. The content-focused design is fully responsive and retina ready. Designed by ThemeGrill, you can get all the support that you need from their super helpful and supportive customer support on their official site. Be in control and manage the search collections of your sites with the multiple archive pages. Add categories, author, tags, taxonomy or any other element.